Omise GO is a white-label E-Wallet platform designed by Omise to be launched in Q4 2017 by several partners (TBA). Omise has been a big believer in Ethereum and its family of technologies, contributing funding to the foundation's DEVGRANTS initiative, as well as funding the development of Raiden. With Omise GO, we look forward to continuing to give back in whatever way we can, so that we can all take best advantage of these new developments. 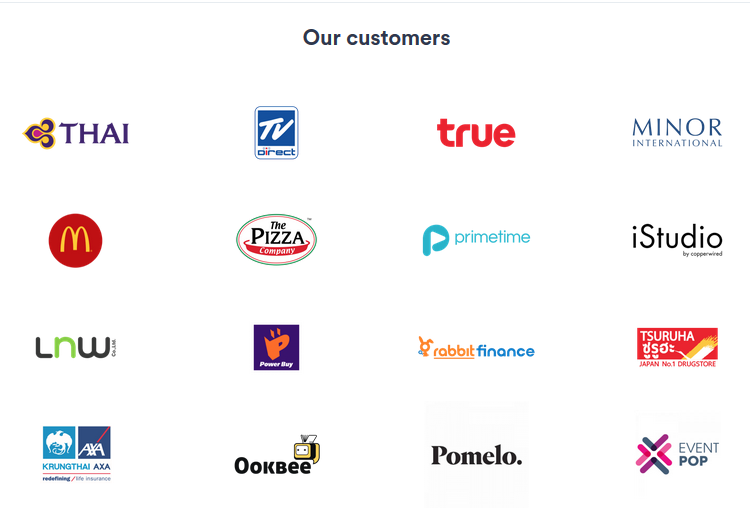 Omise is an Asia-Pacific fintech startup that provides online payment processing for over 2,000 national brands in Thailand, Indonesia, Singapore, and Japan. In November 2016, Omise was featured on Forbes as Fintech Rockstar. Help us bank the unbanked, the right way. In Q4 2017, Omise will launch the Omise GO e-wallet platform, offering the world’s unbanked crowd a best-in-class blockchain based financial service platform including payments, remittances, and more. This version adds support for Receipt API, and Source API. Editor’s note: This blog post is part of a series of posts that the OmiseGO team will publish about the technical architecture and implementation strategy of OmiseGO. This post focuses on updating recent activities and provides high level overview of the OmiseGO development roadmap, and will be followed with subsequent technically and strategically focused posts. Our mission at OmiseGO is to deliver a public good, available to everyone, that can be used to build the next generation of financial services. This public good, a set of open-source technology designed to be used in a decentralized way, comprises 1) the Wallet SDK; 2) the Decentralized Exchange (DEx); and 3) the OmiseGO network that is built to scale according to Plasma architecture. The path to the implementation of components on this kind of scale is not straight. Rather, the path will be winding and scenic with multiple stepping stones along the way. 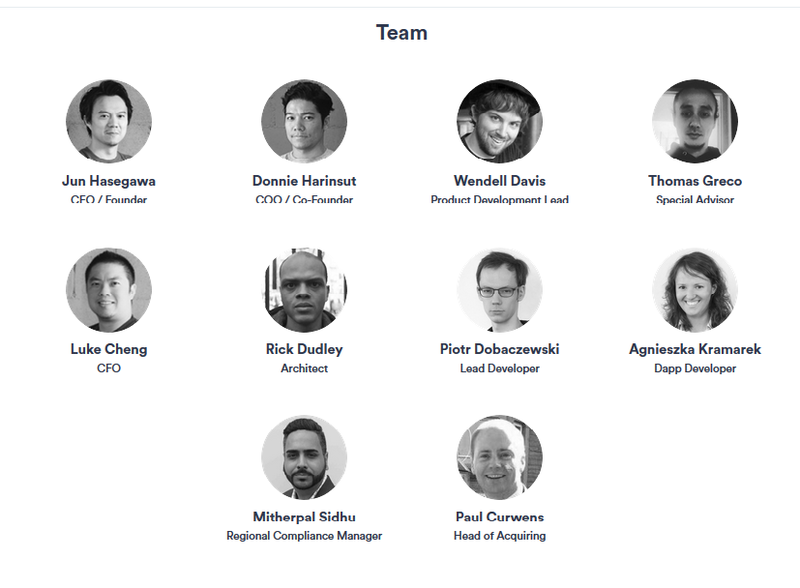 Our highest priority is to ensure the security of the OmiseGO network and all of its participants. With that in mind, we also understand the pressures of bringing real-life use cases to the market in an expedited manner. We are pleased to share with the community our roadmap’s outline, defining our path to bring up the OmiseGO foundations and foster the growing ecosystem. In building this foundation, we have defined milestones that progressively layer on complexities and features. (1) OMG Airdrop: The OMG airdrop — which was the first Ethereum token airdrop — was the automatic distribution of OMG tokens to all stakeholders in the Ethereum network, and was promised in the OmiseGO sale document as a way to distribute the OmiseGO network’s Proof-of-Stake (PoS) staking tokens to improve the OmiseGO network’s security, as well as was designed as a mechanism to encourage the tight alignment of all interests seeking to use the Ethereum network for token sales. The example we set worked; after the OMG airdrop announcement, a number of other Ethereum token sale projects have subsequently committed to doing airdrops of their own. To continue to promote this agenda, the OMG airdrop setup and infrastructure has also been made available for the public to utilize and further build upon. (2) Strategic Partnerships: We have been working to grow the OmiseGO ecosystem through consistent community engagement and through the establishment of strategic partnerships with global finance players like Global Brain and Krungsri Bank (MUFG). We plan to launch an accelerator program in collaboration with Global Brain, as well as multiple blockchain labs. We believe this will contribute to the creation of a blockchain ecosystem that serves the community whilst fostering networking between projects via open source research and resource management. Through our partnership with Krungsri Bank (MUFG), OmiseGO products will power real-time money transfers and payments tools that are currently lagging behind their mobile and wallet customers needs. We are continuing to explore partnerships with other strategic partners to grow this ecosystem and to enable the global adoption of the OmiseGO network. The path that leads to Plasma is marked by milestones we have named after relevant terms from the board game ‘Go’ (碁), invented in China over 2,500 years ago. Described in brief below are the milestones up until the OmiseGO Plasma chain is deployed. Greater detail about the milestones below and proceeding milestones will be described in follow up blog posts. 1 : Fuseki(布石) and Sente(先手) The first two milestones Fuseki(布石) and Sente(先手) are in respect to the white-label /wallet SDK. In the game Go, ‘Fuseki’ represents the whole board opening, enabling various development and strategies on the board to take place. At OmiseGO we refer to our first milestone as Fuseki because it is the opening to our series of deliverables. 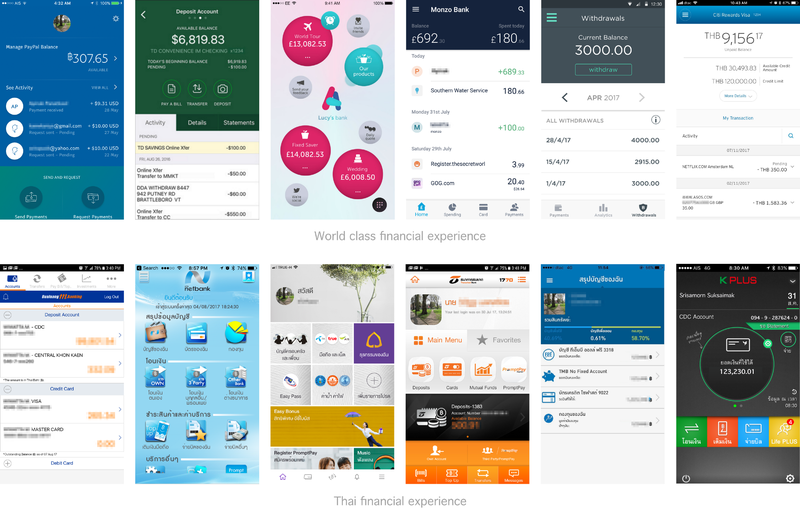 Over the past few months our team of designers, developers, and financial experts have been working on Fuseki with our clients and partners to design and develop priority features for the wallet SDK, ensuring end users’ needs are front and center. Adding further priority features and complexity to the wallet SDK, we refer to our second milestone under the name Sente. 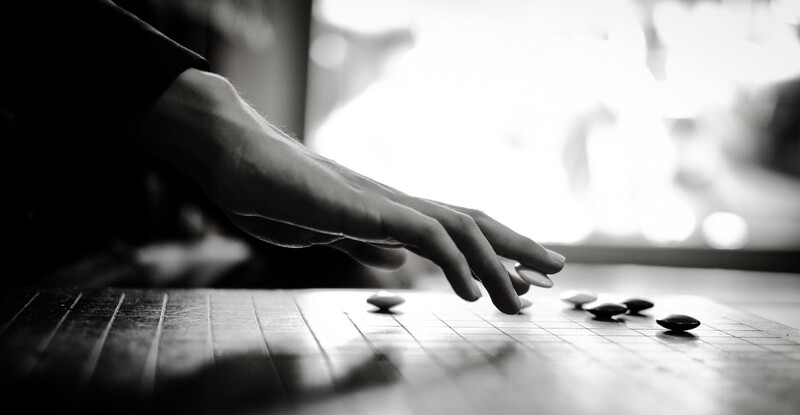 Sente is a move in ‘Go’ that retains strategic advantage for the player and controls the opponent’s response. Sente takes into account everything learnt during the workshops and the feedback received from partners during Fuseki. We expect Sente to demonstrate the value of the OmiseGO Wallet SDK and its utility in global customer loyalty programs. We are very excited to be putting Sente into the hands of developers in Q1 of 2018! The first users and partners for the loyalty programs use-case will lead the announcement of their adoption of the wallet SDK once the solution has been fully integrated. In parallel to Fuseki and Sente wallet SDK, the team is working on deployment of the OmiseGO network including Honte (本手), Aji (味), Tesuji (手筋) and Tengen (天元). 2 : Honte (本手) Honte in the game of Go represents a solid move, simple and robust. In Honte, OmiseGO will deliver the OmiseGO network and lay the foundations in preparation for Plasma. Development progress and news about Honte’s public release will be shared in one of the subsequent detailed product blog posts. Honte is currently on course to be delivered in Q1 to Q2 of 2018. 3 : Aji (味) The closest English translation of Aji (味) is ‘latent potential.’ Stemming from the Japanese term which means taste, Aji represents how stones provide options for play later in the game. In OmiseGO development milestones, the potential being added in Aji is the ability to move in and out of fiat and an interface to the Omise payment gateway. 4 : Tesuji (手筋) Tesuji (手筋) refers to a clever and skillful move, almost to the level of a ‘trick’ play. It requires the player to read ahead and pick the best play that might be decisive to the final outcome of the game. Tesuji was chosen to represent the impressive, innovative nature of Plasma. Tesuji will utilize the foundations that were built by Honte and Aji and introduce a basic form of Plasma with a novel bonded consensus mechanism. 5 : Tengen (天元) In combination with Tesuji, Tengen (天元) which means ‘origin of heaven’, represents the center point of the ‘Go’ board. In the Tengen development phase, we take Tesuji and deploy it on the finished OmiseGO network: a massively-scalable, cross-chain-compatible decentralized exchange (DEx) Plasma chain. The goal is to improve the lives of people through the transformation of finance and digital commerce. 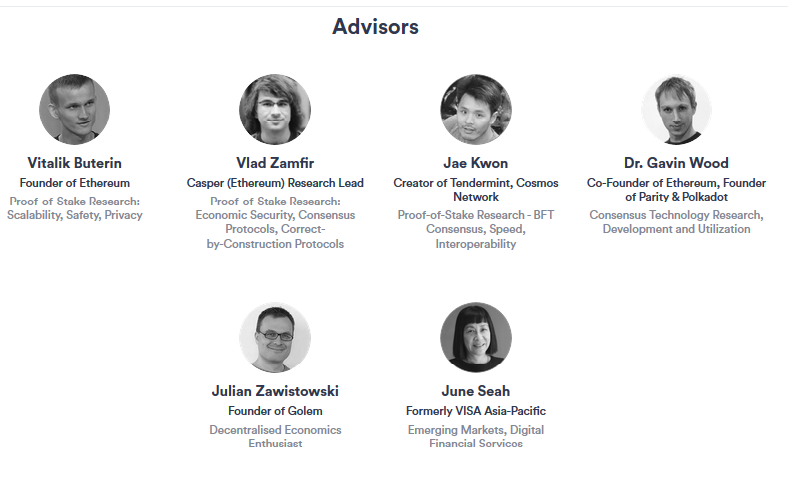 By enabling people to both maintain unprecedented connectivity and retain unprecedented control over their individual financial resources, while at the same time have a stake in how the collective resource (the OmiseGO network) is operated, we are attempting to forge a path towards socioeconomic equity in a just, free market environment. In the course of delivering this goal, we also hope to contribute to the technology that enables scaling on a blockchain and to introduce new ways of performing peer-to-peer exchange of digital value. The work involved is complex and new, and pushes the technological envelope. Our development teams take careful consideration in every step when designing, testing and deploying different phases. The roadmap, thus, should be treated as a flexible and living document that can be updated as development progresses forward. We are grateful for the trust the community has placed in us to deliver on these goals and we are looking forward to sharing more specific details about our progress and milestones in the near future. This plugin has been developed and designed to specifically support Omise API version 2015-11-17. In the other hand, this plugin could be broken if there are any breaking-changes happen in a new API version in the future. So we need to do something to prevent that coming future! Attach versions of Omise PrestaShop and PrestaShop to the request that will be sent to Omise API. These versions will be recorded and displayed in the Omise dashboard. They are useful in determining the cause of problem, or they can be historical data that used as analytical data. Specify the version of Omise API that Omise PrestaShop is compatible. This specify version help to solve the problem, if the merchant is using the Omise API version that incompatible with Omise PrestaShop. The version of Omise API that merchant using will be overridden with the version specified in the request. It has always been said that User Experience or commonly known as UX is the factor that matters because a good UX does not only help users to easily use our products or solutions, but also increases conversions and user’s impression. These are the common perception of why user experience matters, but allow me tell you that there is much more about it. From company’s point of view, branding is used as a tool to state company identity — colours, logos, fonts. However, from user’s point of view, that kind of branding is not what matters. Users do not appreciate much of the colours or the fonts of the logo. What really matters is the solutions the company delivers and the experience users perceive. These will be remembered as user experience, reminding users to come back in services with the company whenever they need that experience again. The real branding is based on the perception of the users. So, the experience should rather be well crafted than to be happened by chance. The company should come up with the user experience flow — what users should be feeling using the products or solutions, before starting to create the products or solutions themselves. The user experience flow will set the goal to make sure that users will receive the experience as the products being designed and delivered. What catches users’ attention is the solution and experience they receive from the company, which is considered as the real company identity rather than the stereotype branding. This is why small companies with better user experience can beat big companies, who focus only the functions, but not the experience. 2. UX reduces company risks. One of the most common risk for online businesses is the drop-offs, which could be reduced by user interface optimization. However, what could be worse is that users don’t even give a glance at the products or solutions. This is a serious issue because the company spends time and effort to build the products, which, in the end, don’t solve users’ problems or don’t worth their time to learn. User experience will benefits this scenario by providing the process to understand users before starting to build the products. It helps us know user insight, pain point, need, and goal, so that the products can be designed accordingly. Moreover, the user testing can be done to ensure the best results. This way the company can manage the risks by testing and getting feedback before the actual launch. Not only we know whether the products work, but we also know if the users are satisfied or willing to buy the products as well. Imagine if the hypothesis has not been proven before building the products, how much time and effort you risk to waste, let alone the cost and the opportunity to be successful. 3. UX brings the team out of the box. If the boss always makes the call and gives the very clear concept of end product to the team, that is good; the team can start building the product promptly and accurately as they are told. However, there are lots of projects going on in the company at the same time and that means the boss has to squeeze his brains out into each projects. What is implied by the above scenario? Let’s say, there’s a hundred of head counts in the company and not a single head, besides the boss’s, can be counted on? The boss will be drained with workload as he is the main functioning gear while not fully utilizing the brain powers of the team. The consequences are that the team is not left with enough space for creativity, but to follow the boss’s lead. So, instead of a clear concept of end product, what should the boss communicate to the team? The boss should optimize the use of UX by communicating with the team the experience aimed to deliver to users — what to deliver, what to be remembered, or what feelings to get. Keeping in mind the user experience, now everyone is on the same page working towards the same goal — to achieve the targeted experience. The combination of the clear goal and the talent of the team will bring out thousands of brilliant ideas, whereas a single head might not go that far. At this point, the boss should add a little bit of faith into the team by observing from distance and admitting that the team knows their products the best. In conclusion, the UX optimization doesn’t happen by hiring a UX specialist only, but rather from everyone because, more or less, the user experience is reflected to the users through every part of the company. Moreover, when the teams understand the UX as a goal, they can creatively work on, validate, and adjust to make the products better and better. This will help reduce the risk of businesses in delivering the unwanted products or solutions, too. In the end, users will remember the experience they perceive and come back in services with the company whenever they need that experience again. These are just 3 fields of why user experience matters. It matters because no company wants to be an ordinary choice, but to be one of the users’ most loved and always be. Now you can accept Alipay payment at your Magento store! Note: Alipay is only available for merchants with a Thai-registered Omise account. Note: For users with a live account, please send an email to [email protected] You’ll need to review Terms & Conditions before using this feature. This is really important change! We would recommend everybody to read the PR description (especially, at the section "3. Quality assurance"). In short, this PR is to refactor the way we assign the order states/statuses in each of payment flow. For example: Internet Banking, instead of payment-review > approved. It will be changed to pending-payment > payment-review > approved. Note that There are some cases that we need to consider using WebHooks feature. An order that has been placed at Magento store with payment_action=authorize only. Then later, merchant performs capture action at Omise dashboard instead. Without Webhook, Magento store will never knew that that charge transaction has been captured already at Omise dashboard. Means, we are going to need something like a callback feature to tell Magento store that that captured event is triggered. So Magento store can update an order status according to the result. Some offsite payments don't resolve users' payment at a time they (user) complete their payment process. For example, Internet Banking, sometimes Bank cannot response the payment result back to Omise API at a time user 'submit' their payment. User will be redirected back to Magento store with charge.status = pending causing that an order status won't be changed to processing nor failed until merchant manual change it. Again, we are going to need something like a callback feature to tell Magento store that that charge transaction is resolved. So Magento store can update an order status either to make it as 'canceled' or 'completed'. This PR's title might confuse you but basically this PR aims to create a reference between 'Magento' and 'Omise' in a form of "Transaction history". So now you can check which charge id belongs to which order easily from the order transaction history tab (in order detail page). Say good bye to 'Strategy Pattern'. As for coming of the new payment method, Alipay payment, and Webhook feature. Now we can see some of common logics that will be used again and again in another new payment method. Means, if we just continue implement those features right away with the previous approach, it will just make code more huge and hard to maintain. So, this PR aims to clean up unnecessary/unused code, refactoring and preparing structure for those new coming features. There are 2 reference id(s) in Magento system. The first one is order id, that will be used as a reference to lookup from DB. And another one is order increment id which normally will be used as a reference for merchant when check at the dashboard or order list page (searchable). This PR now use order increment id to assign into the charge description instead of order id. Magento (CE) 1.9.3.6 on PHP 5.6.30. Magento (CE) 1.9.2.4 on PHP 5.6.30. According to PrestaShop 1.7 has been changed its internal source code architecture, the Omise PrestaShop module has been modified and updated to work with new architecture of PrestaShop 1.7. Due to this modification, this release, v1.4, is NOT compatible with PrestaShop 1.6. For the payment that has redirect payment flow such as internet banking payment, it is possible that the status of Omise charge is not updated in spite of the payer has completed their payment on bank site. This problem can be solved by using Omise webhooks feature. Whenever the Omise charge is completed, Omise server will sent the event notification to merchant server and the event notification will be handled by Omise PrestaShop module. Before this release, the payment method name of the order has been fixed to be Omise. Now, the payment method name will be saved and displayed as selected by payer. In the Omise dashboard, charge detail, merchant can easier reference between PrestaShop order and Omise charge by using the PrestaShop order ID that has been stored in the metadata of each Omise charge. OmiseGO Wikipedia approved: everybody start contributing!